Indie Retro News: Unavowed - Wadjet Eye Games announces 2018 release date with a new trailer! Unavowed - Wadjet Eye Games announces 2018 release date with a new trailer! 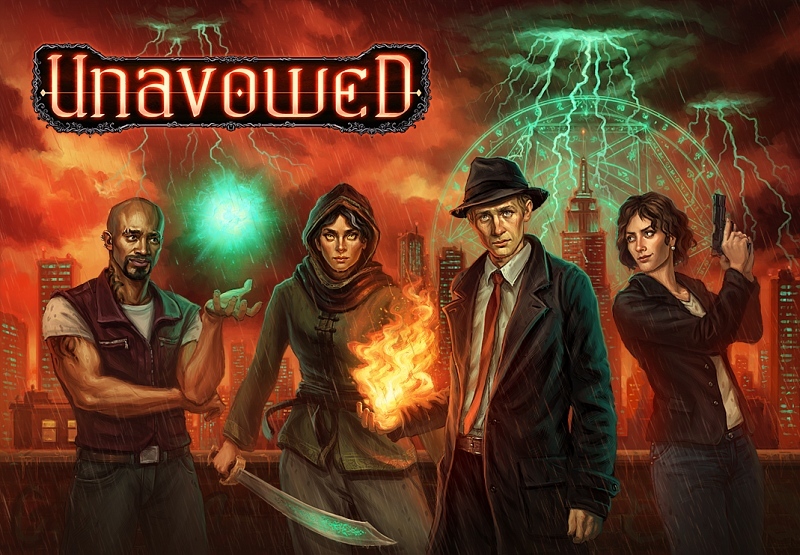 Wadjet Eye Games, the Studio behind the brilliant adventure games such as Golden Wake and The Blackwell Series have once again contacted us regarding their upcoming supernatural adventure game ' Unavowed ', which tells a story of dark forces and a squad of young blood to protect the mundane world from a threat stronger than any these crime fighters have faced. Wadjet Eye Games has told us not only is the game due to be released in 2018 but a new trailer has arrived that shows off the fantastic design of the game and the possible story to come. According to the team behind the game of which we are huge fans. Unavowed takes inspirations from story-heavy RPGs like Dragon Age while staying true to Wadjet Eye's point-and-click roots, with gorgeously gritty pixel art graphics with double the pixels of any previous Wadjet Eye games, plus added features such as the building of a party from four secondary characters whose unique skills change puzzle solutions, and being able to make decisions about the player character's gender and background that influence the storyline.... So yes an Adventure game not to be missed in 2018.